But we are quite hopeful. Washington National Cathedral, site of Christopher’s ordination. It is a fact of life that good friends sometimes move on in their lives and, to some measure, move out of our own. Christopher Wilkins had been a vice president of Progressive Episcopalians of Pittsburgh and, for a time, was part of a triumvirate of doctorate-holding church activists (along with Joan Gundersen and me) responsible for much of the material released in PEP’s name. It was a blow, both personal and institutional, when Christopher moved to Maryland and the Diocese of Washington. The move, however, enabled Christopher to pursue more effectively his goal of being ordained in The Episcopal Church. 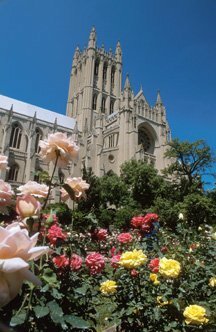 Today, Christopher will be made a deacon at Washington National Cathedral. I am sorry I cannot be there, but my thoughts and prayers are with him. This poem is something of an ordination gift, and one of a series of poems I’ve written for ordinands. (See “Martha’s Ordination” and “Ordination.”) I began working on the poem several days ago, beginning with the determination to rhyme “Christopher” with something. This was a hard assignment, and it led to the somewhat unusual poem above. The Episcopal Church is being enriched today, and will be even more blessed when, six months from now, Christopher becomes a priest.